Entertaining friends and family is not just about the right food and wine. The imagination and effort you put into decorating your table will make your guests feel truly welcome, even by the simplist touches. 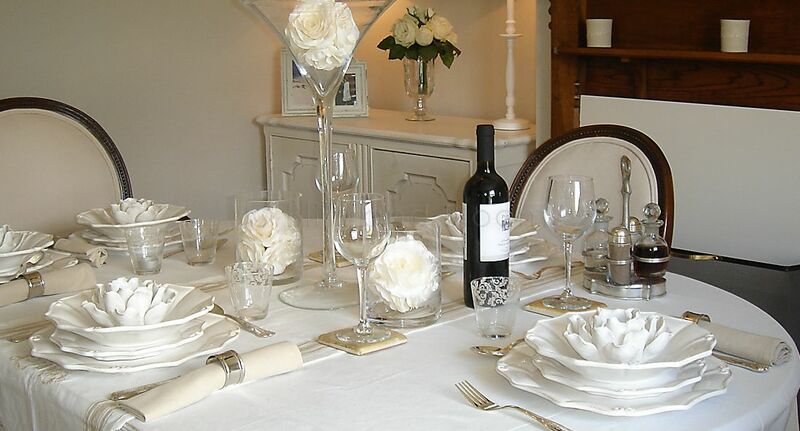 Here at Bliss & Bloom we have simple, pretty and imaginative ideas for table settings with a touch of originality, that will make your guests feel relaxed and happy. When the festive holiday season is upon us, it is always a good idea to start practising early. The key elements of every table setting are in the basic ingredients - linen, china, cutlery, glassware, flowers, placecards and lighting. Lets start with linen. Napkins, tablecloths and runners can all add colour and texture to your setting. I love napkins because there are so many ways of making them look gorgeous - whether its simply folding and tieing them with pretty ribbon, using napkin rings, crystal and pearl decorations or flowers and ivy.